A space to share all the awesome going-ons with our wonderful staff and CPRG community. Brown in the South is coming to Chow Chow in Asheville! You heard right! 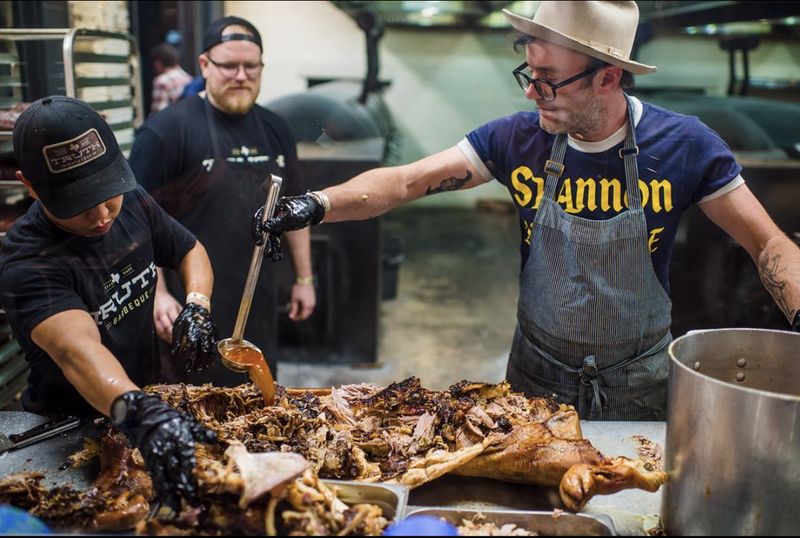 Brown in the South Vol IV is happening in AVL during Chow Chow food festival weekend. Exploring themes of identity and belonging through food is the impetus behind the collaborative Brown in the South supper series, which features a collective of acclaimed Southern chefs of Indian descent. The fourth installment of the series will be during Chow Chow, and will include Meherwan Irani, Maneet Chauhan, Cheetie Kumar, Farhan Momin, Samantha Fore, & Preeti Mistry. Sept 13th, 5 - 8pm @ the former Nightbell location. Follow Brown in the South on Instagram here. Want to purchase tickets to the dinner? Click here. Elliott went to a fundraiser there earlier this month to raise some funds for Bryan Furman of B's Cracklin' BBQ, one of our good friends who suffered a restaurant fire earlier this year. Cheers to good buds. Bryan was just named one of Food & Wines Best New Chefs 2019. Check out this article about him. "MG just got a dreamy makeover and we're ready to call it our new fave post-work spot.The drink list was also revamped and now includes sips like the Guava Mama with tequila + guava and the $100 Neon Demon, a rum punch that serves 8-10 people." Nice job Lexy and team! Check out the new drink menu here. That about describes the most recent Brown In The South in Raleigh! 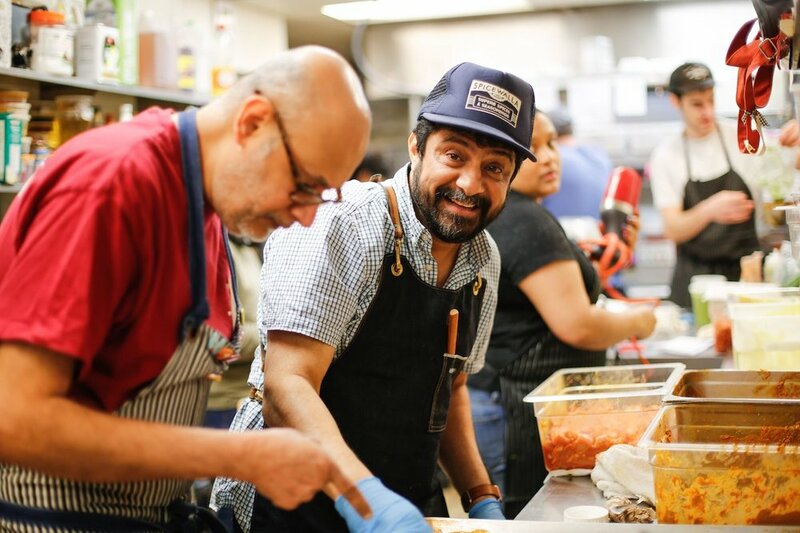 Here's a great article from Matador Network on how Indian food is evolving in the south and the chefs that are making it happen.⁣ Read the whole thing here, and see pictures here. Southern Living names Buxton Hall, Best BBQ Joint in NC! And it is not to be missed. Featuring Stable Song by Gregory Alan Isakov and an intro from our Branding Director, Michael Files. The CPRG India crew was on a podcast! The JBF 2019 Restaurant and Chef Award semifinalist lists are out! Very exciting news! The James Beard Foundation announced their semifinalist list yesterday and Ashley Capps is a semifinalist for Outstanding Pastry Chef and Meherwan Irani is a semifinalist for Best Chef Southeast! Yay! We couldn't do any of this without our incredible staff, so congrats to you, TOO! The CPRG India trip has returned to the USA! And we missed them something fierce. There are lots of great stories to tell and pictures to share - stay tuned over the next few newsletters! One the left is the India crew visiting Dharavi Diary, a non-profit we're aligned with in Mumbai. Read all about the program, and the two students we support, here. Meherwan and Mikey recently went on a sweet lil tour with Atlanta Magazine to visit some of their fav Indian spots in Decatur - Gulistan DilPasand Fresh Pan House, Cherians International Groceries, Zyka, and Tava Indian Bistro. Guess who’s going to Australia?! In March, two of our Buxton Hall buds, Elliott and Kyle, are heading to one of the world's top food and wine events, Melbourne Food and Wine, taking place across Victoria Australia! We'll be sharing their adventure via social media so that you can go along for the ride. Let's get the boys up to speed on some Aussie lingo with this Beginner’s Guide to Australian Slang. Earlier this year, Meherwan announced his plans to expand his mini Indian street food empire to Alpharetta. 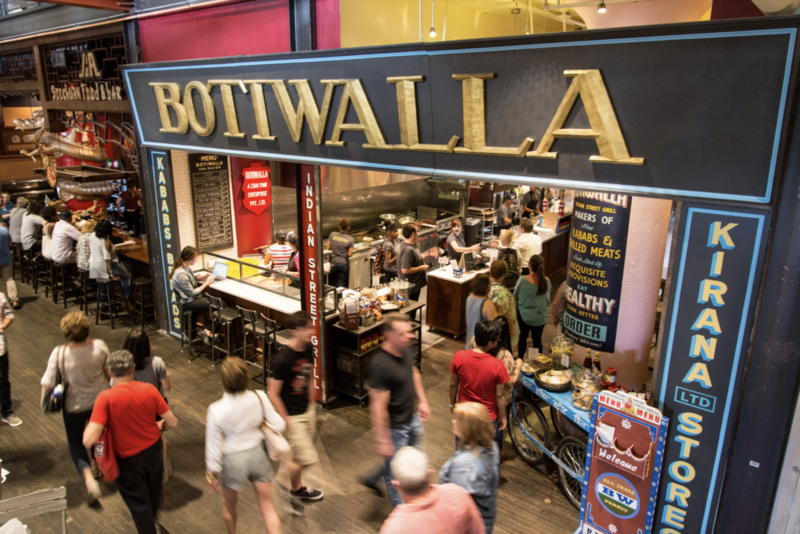 The chef confirmed Friday he’s opening his second Botiwalla in the Alpharetta City Center complex some time this fall. We’re extremely excited to be partnering with Diaspora Co. as we believe the work they are doing in the spice world is important and truly revolutionary. Their Founder and CEO, Sana Javeri Kadri's vision is to share the wealth of this powdered gold with the farmers who cultivate the turmeric, while also getting a product out into the world thats fresher than the rest and the best quality that could be found (sound familiar?). And they will make your heart grow three sizes. If you don't know Emily Tomasik, you're missing out. She's a server at Chai Pani Asheville, and a miniature artist & illustrator, and her work will make you swoon. In 2016, Emily committed to making a miniature figurine every day for a year and it's pretty incredible. Click here to check out it out. Our first restaurant, CPA, where it all began has gotten a refresh! In February 2018, we wrapped renovations having added more elbow room, a full bar, a fresh coat of paint and some new mural work by artist Luna Nunez to the bigger, brighter dining room. Not just in a food-as-fuel way, though his work requires him to be fleet of foot and execute high-flying dunks. But the fact that the 26-year-old loves to eat was as plain as the broad smile on his face when the server at Buxton Hall delivered his pulled-pork lunch. Last month we sat down with Larry Crocker, the hog farmer who’s been supplying Buxton Hall with happy, pasture raised pigs since we first opened our doors in 2016. Larry runs Vandele alongside his wife Kathleen, and a small group of farm friends, in Cedar Creek, NC, and has been raising horses, livestock and hogs in North Carolina and beyond for 40 years. We talk with Larry about his life as a farming and his relationship with Buxton Hall. We are thrilled be announce that we're going to start supporting two students in India: Dipali Kadam & Anu Madival, through the Dharavi Diary non-profit. Charlotte S. and Molly M. had the opportunity to go to Dharavi and meet Nawneet, who runs Dharavi Diary, as well as meet Anu, whom they both adore. We will offer full university scholarships for girls that cover room & board, transportation costs, university fees, & tutoring. Next week, Chai Pani will be serving lunch to 400 members of our community at the Welcome Table. We have been big fans and supporters of the Welcome Table for many years. They rest on the assumption that food is a primary means of grace, a way to love and connect. The meal are served on abundant plates, family style, by an attentive wait staff, and folks are invited to linger over the meal as in a nice restaurant or dinner at home. If you're interested in volunteering for Chai Pani's Welcome Table on Nov 14th, please connect with Rose! Click here to learn more about the Welcome Table. In January, 2019, we're sending four Chai Pani Restaurant Group employees to India. Click here for more details and info how to apply. Led by our one and only Isaac Clay, this trek via train is bound to be an awesome culinary adventure. We'll explore the vegetarian cuisines that inspire Chai Pani and the grilled meat cuisines that inspire Botiwalla. Click here to read all about it and stay up to date on the journey. Teddy! Woah, dude! Way to rock that podcast. ScheduleFly adored Teddy, just like we all do. "Teddy Bourgeois is a bartender for Buxton Hall in Asheville, NC. He works with intention & has tons of respect for his craft and for the team he works with, and believes in supporting not only his team but the entire hospitality community in Asheville. Bartenders and any hospitality people will love listening to what he has to say." Staff Spotlight | Carmelo P.
Click here to read more from Carmelo Pampillonio, musician, and Chai Pani Asheville server. Meherwan cooked with all his Brown in the South buddies again - this time in Nashville at Maneet's restaurant. What. A. Night. Here's a link to some drool-worthy pics. Curious what Brown in the South is all about? Osayi Endolyn tells it like it is in this Southern Foodways article “A New Normal South" and Food & Wine wrote a great piece about the inaugural event here: New Dinner Series Will Explore What It Means to Be 'Brown in the South. Vol III will be happening in Spring, 2019. Stay tuned! Staff Spotlight | Bailey R.
Click here to read more from Bailey Raynor, seamstress, Chai Pani Asheville server.